Our Isla Mujeres Day Trip included renting a golf cart for 350 pesos and driving it to the Turtle Farm. The admission to the Turtle Farm is about $3 US. Dani loves turtles. 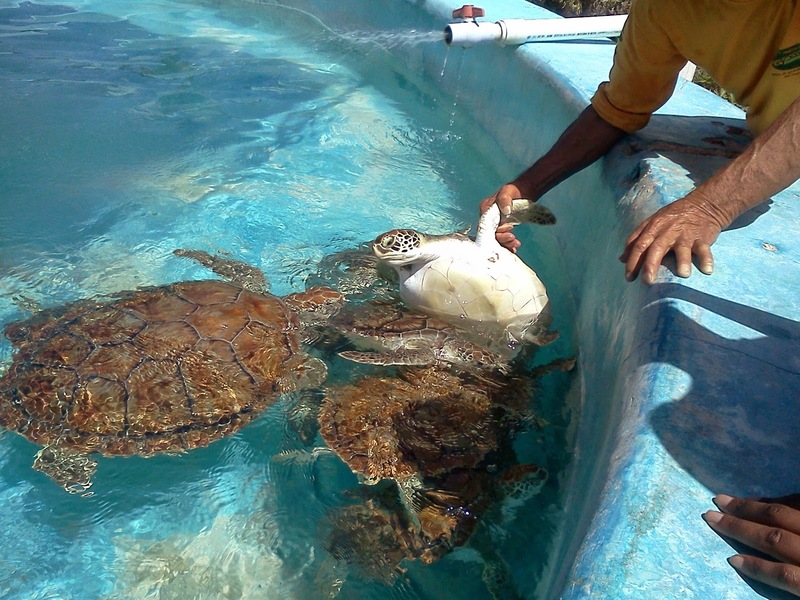 The Turtle Farm is not just for children. It actually has more creatures than turtles. 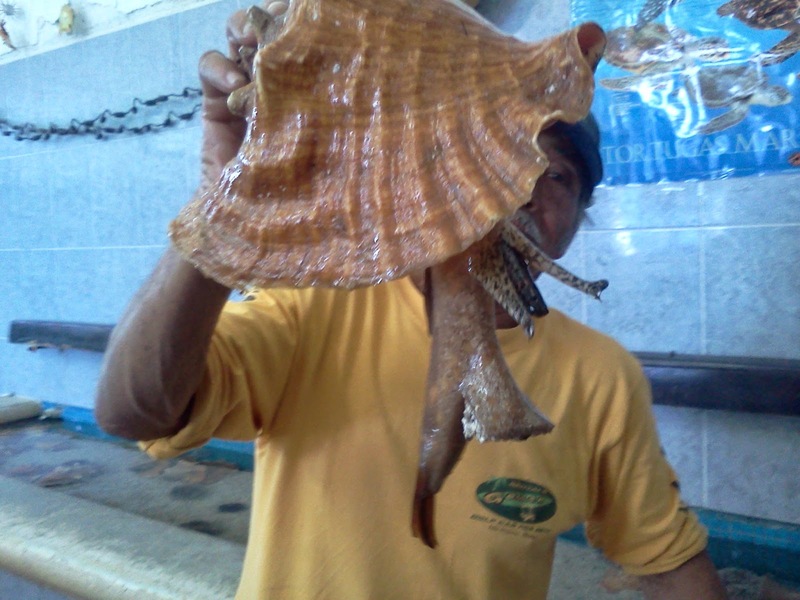 There is a guide that gives an interactive presentation about all the sea creatures. There is an indoor aquarium area and outdoor pools filled with turtles. I wish we could have spent more time playing with the sea creatures. Isla Mujeres offers swimming with the dolphins as well, but we ran out of time. So that is on our to do list for the next visit. 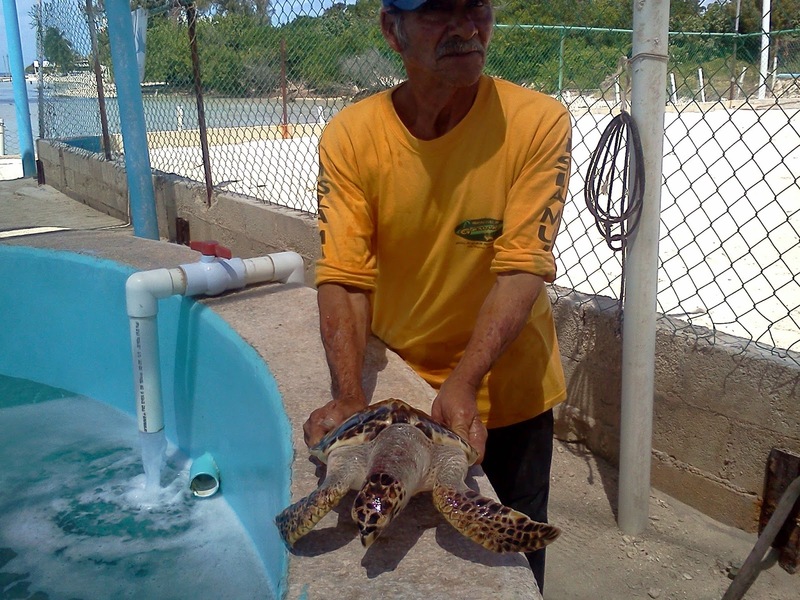 Have you visited the Turtle Farm at Isla Mujeres?